Mark Driscoll is a sixth grade math, seventh and eighth grade social studies, and sixth to eighth technology education in the Key School. He is also the head coach for cross-country and track and field. 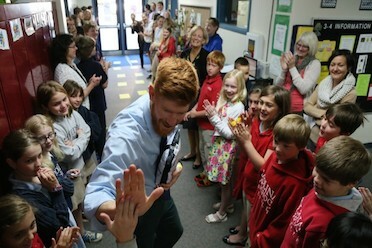 Mark began working at Carolina Day School in 2009 and holds a graphic design B.A. and was a NCAA D1 Athlete. He competed in the 2014 Boston Marathon and came in 116th overall out of 37,000 runners.